When I first bought my iPad, I thought it would be a household device, but by the time I had my Twitter push notifications and my Angry Birds high scores up and running, it was pretty clear who it belonged to. 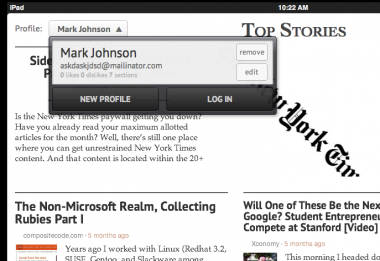 So I was interested to see that personalized news reader app Zite today launched a new version that allows users to have multiple profiles. Support for multiple users seems particularly helpful for an app like Zite, which learns over time what kind of stories each user is likely to enjoy. 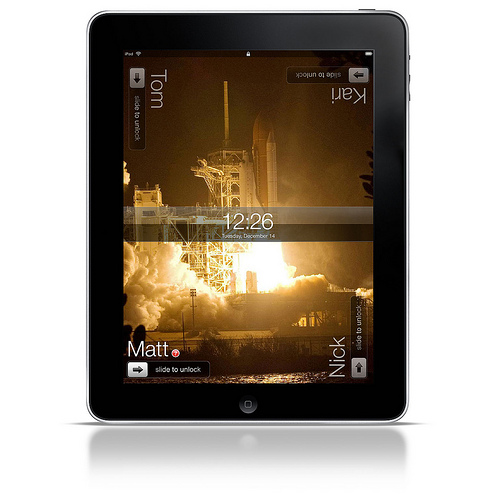 Of course it might be even better if Apple offered a multiple user feature on the iPad as it does on other devices.